My four-year-old loves to play with GarageBand. He loves to play with the drum machines and create his own beats. While there has been musical apps specifically made for juniors, he hasn’t found the right one for his creative style. I think my app pick for today can change this for him. 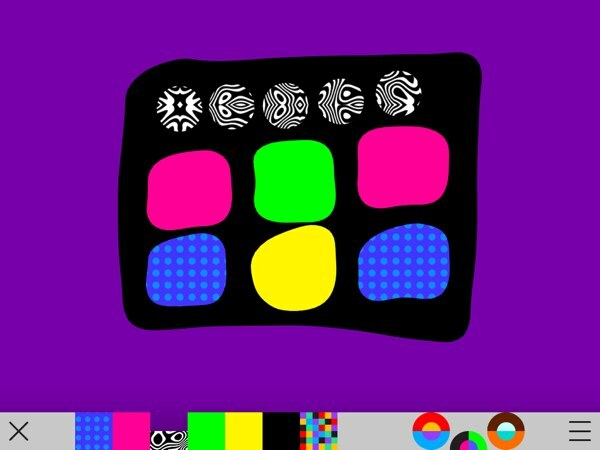 Bubl Draw is a musical app that lets you doodle and create your own music at the same time. It’s perfect for juniors who want to have their own playful version of GarageBand. Bubl Draw’s interface looks like a typical doodling app. It features a large canvas on top and a color palette on the bottom bar. The basic gameplay is the same too: pick a color/pattern and play. But, there’s more to the app. You can create a curved line or an enclosed shape. If you create an enclosed shape, the app will fill the enclosed area with the selected color/pattern. You can tap and drag the shape to move it, or pinch to scale it up/down. Dragging a curved line will let you change its shape and position. You can pick any point within the curve, and start dragging. If you want to remove an object, just drag it out of the screen. If you tap and hold on the shapes, you will hear a musical instrument. The music will continue to play as long as you hold your finger down. 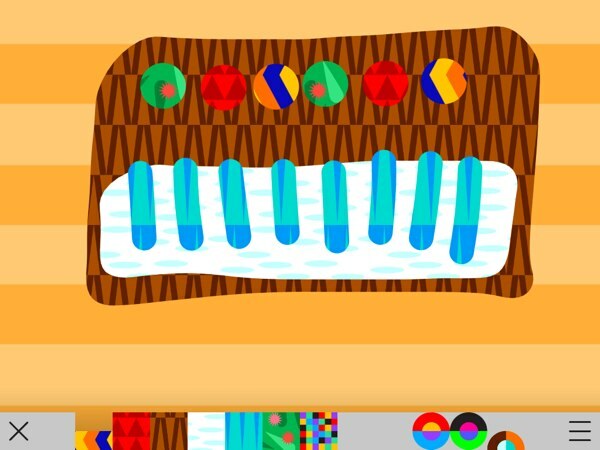 Because the musical instruments range from piano to synthesizer and maracas, you can create unique sounds. In total, there are three musical genres (classic, disco, and rhumba) and more than 10 instruments to play with. 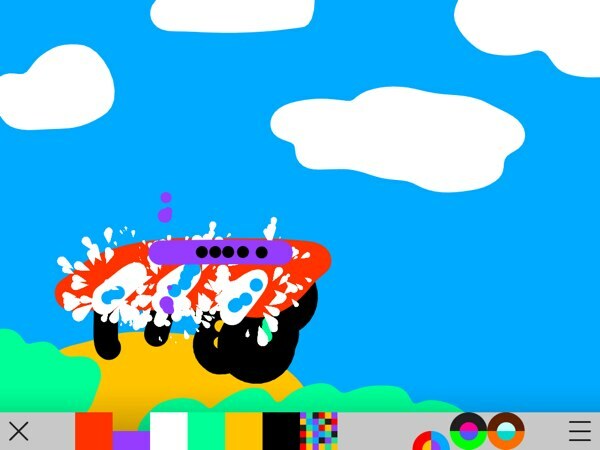 If you consider Bubl Draw as just another doodling app, you can have juniors ages 2+ play with it on their own. But if you consider it as a playful GarageBand for juniors, I’d recommend it for older juniors. Juniors ages 4+ can already create their own music. I’m sure they’re going to love tinkering in Bubl Draw. Currently, there is no way to save your doodles. But, the app keeps your doodle as you switch musical genres. This allows you to hear how the same composition would translate in other genres. You can create any kind of shapes: basic and complex. For example, you can create hearts and stars. Shapes can overlap each other. Drag the existing shape aside first to create an empty space, then draw the overlaying shape. Curve lines have different sounds associated with them, even though you use the same color/pattern as enclosed shapes. To trigger the sound of a curved line, tap inside the line to make the moving dots appear. Tapping inside the curved line again will create more dots. Different number of dots triggers different complexity of the same sound. Dots inside a curved line is an excellent way to create background sound. The sound will loop as long as the number of dots stays the same. I’d suggest you create your background sound first before creating your leading sound. The dots have a limited lifespan. They will disappear after a period of time, causing the background sound to change or stop. Pay attention to this if you want to keep them going. In addition to enclosed shapes and curved lines, the app also lets you create paint drops. Just tap the screen with the current color/pattern, and the drops will appear. These drops will have different sounds associated with them. Finally, if you want to create an illustration with a different background, you can pinch to enlarge an enclosed shape until it fills the screen. This will cause the color/pattern of the selected shape to be used as the new background. Bubl Draw is an impressive musical app for juniors ages 4+. It’s more akin to GarageBand, rather than a typical doodling app for juniors. The app has more depth than what meets the eye. I’d highly recommend this app for juniors who love to create their own music on the iPad.